Gorgeous Toy Poodle Puppies! If you see one you love and it says STILL AVAILABLE scroll past the puppies till you come to their page to learn more about them. 5 Puppies SORRY SOLD OUT! SOLD! BooBoo sweetest Male CKC Maltipoo Says It’s Me It’s Me! Oh my goodness, you have just come across the most adorable puppy in the world. He has personality the size of Texas. 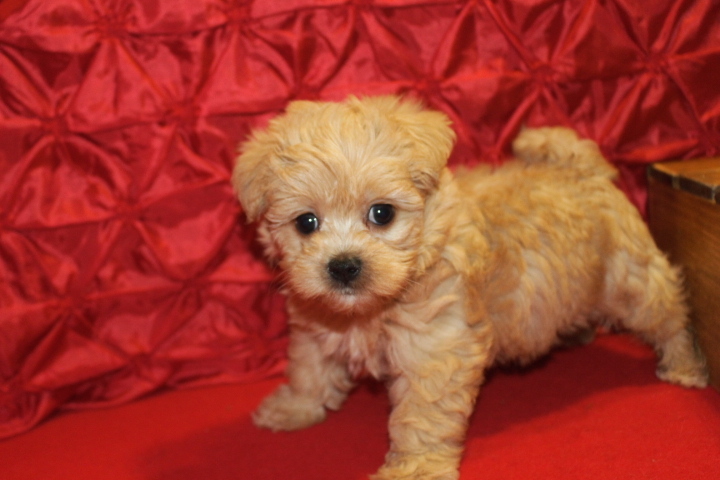 He is a Maltipoo which is toy Poodle and Maltese mix. As these two breeds so so lovable ans smart you will wonder where they have been all your life. Great temperament and low maintenance. Before BooBoo arrives home to you he comes to you with with a lifetime of puppy kisses. Don’t miss out! Waiting on my new name is and my new home is San Jose, CA. BooBoo is one of two males in this litter of two and you couldn’t ask for a cuter one at that! He is so gorgeous just look at that teddy bear face. He is gorgeous cream apricot color with a white blaze going up his face and don’t forget his adorable full tail so as you can see he is just perfect in every way! Don’t take to long to decide he won’t last long! Yogi Bear is the cutest little cub you’ll find around! He loves jumping and playing with his brother and mommy. Yogi Bear loves to cuddle up and give you sweet kisses. Don’t let this little boy get away. He will be sure to make that perfect addition that you and your loving family have been looking for.He is ready to share many lifelong experiences with you and so excited as he anxiously awaits to join his family. Waiting on my new name is and my new home is St Augustine, FL. Yogi Bear is one of two males in this litter of two and you couldn’t ask for a cuter one at that! He is so gorgeous just look at that teddy bear face. He is gorgeous cream color with a small white markings on top of her head and he has an adorable docked tail so as you can see he is just perfect in every way! Don’t take to long to decide he won’t last long! SOLD! 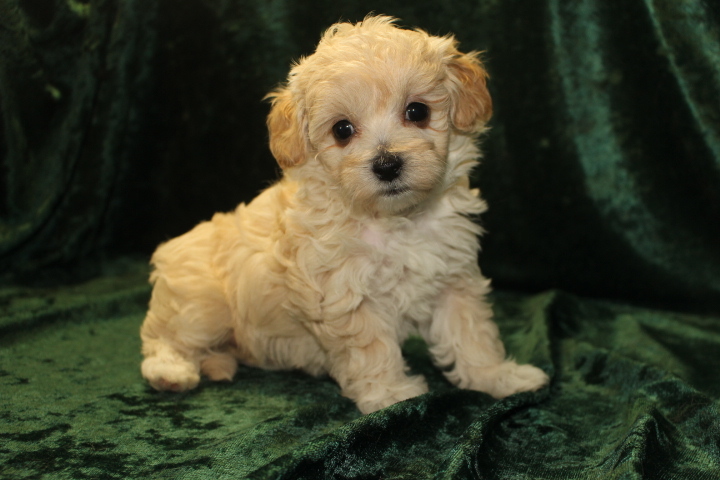 Molly Is A Gorgeous Cream Female Maltipoo That Has A Heart of Love For You! Meet Molly. This little sweetie is truly a little loverlump! She loves to play, snuggle, and give lots of puppy kisses. Her fur is oh so soft and you’ll love pampering her and petting her as much as possible. You’ll just love taking her out on walks around the block and you will truly be a pretty picture at the dog park together. The sweet baby is hoping to go home to you, so pick up the phone and call about Molly today! She can’t wait to meet you! My new name is Bella and my new home is Apopka, FL. Molly is one of two girls in this litter of three and you couldn’t ask for a cuter one at that! She is so beautiful just look at that sweet face. She is a gorgeous cream color with a small THE SWEETEST curls to give her that baby doll look and she has the cutest docked tail so as you can see she is just perfect in every way! Don’t take to long to decide she won’t last long! Mojo is a sweet adorable puppy looking for his forever home. He cannot wait to join his new family. He is happy, healthy and ready to go. Actually he is super excited because a family was waiting for him to be born and named him which set the theme for his litter. He is ready to share many lifelong experiences with you and so excited as he anxiously awaits to join his family. Waiting on my new name is and my new home is Norcross, GA.
Mojo is the only male in this litter of three and you couldn’t ask for a cuter one at that! He is so gorgeous just look at that teddy bear face. He is gorgeous apricot cream color with a small white markings on top of her head and he has a beautiful tail so as you can see he is just perfect in every way! Don’t take to long to decide he won’t last long! My new name is Isabella and my new home is Gainseville, FL. Macey is one of two girls in this litter of three and you couldn’t ask for a cuter one at that! She is so beautiful just look at that sweet face. She is gorgeous apricot cream color with a small white markings between her eyes and on top of her head and she has a beautiful tail so as you can see she is just perfect in every way! Don’t take to long to decide she won’t last long! My new name is Riley Grace and my new home is Jacksonville, FL. Julianna is one of four girls in this litter of four and you couldn’t ask for a cuter one at that! She is the chocolate Brindle color of her litter as a gorgeous face isn’t she just the cutest? Just look at her and the cutest dock tail that will make you giggle when she wags it. She is just perfect in every way! Don’t take to long to decide she won’t last long! 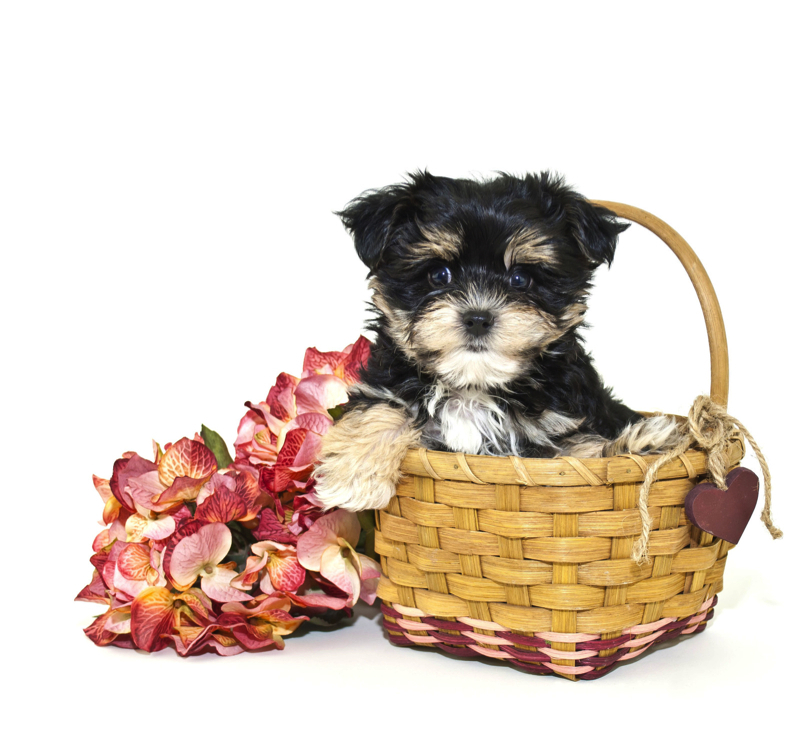 Ready to know what puppy love really is? Then meet Jolene! This gorgeous girl will steal your heart the moment you meet her. She is that great companion that everyone wants. Jolene comes with a lifetime of kisses and cuddles. She’s ready to play, but most importantly ready to love you always and unconditionally. She is very intelligent and already learning good manners. This beauty truly is a special girl, so don’t let her slip by. A lifetime of wonderful memories is waiting for you! Jolene is one of four girls in this litter of four and you couldn’t ask for a cuter one at that! 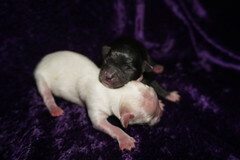 She is the lightest color of her litter as a gorgeous cream color and she is so beautiful. Just look at her adorable face and the cutest dock tail that will make you giggle when she wags it. She is just perfect in every way! Don’t take to long to decide she won’t last long! Paying Paypal as family and friends to pay my account is my email: stacy@tlcpuppylove.com memo put Maltipoo Female Maltipoo Puppy Jolene. Introducing Jade! This classy head turner can’t wait to meet you. Jade is such an incredible puppy and gorgeous color. Isn’t she a dream? You can tell that Jade knows she is a cutie and she plans on being the queen of your home. Jade comes with a lifetime of kisses just for you. Don’t miss out on a chance to make this little angel all yours. Puppies like this don’t come around often. My new name is still Jada and my new home is Winter Park, FL. Jade is tone of four girls in this litter of four and you couldn’t ask for a cuter one at that! She is so beautiful just look at that sweet face and gorgeous apricot color and the cutest dock tail that will make you giggle when she wags it. She is just perfect in every way! Don’t take to long to decide she won’t last long! Paying Paypal as family and friends to pay my account is my email: stacy@tlcpuppylove.com memo put Maltipoo Female puppy Jade. SOLD! 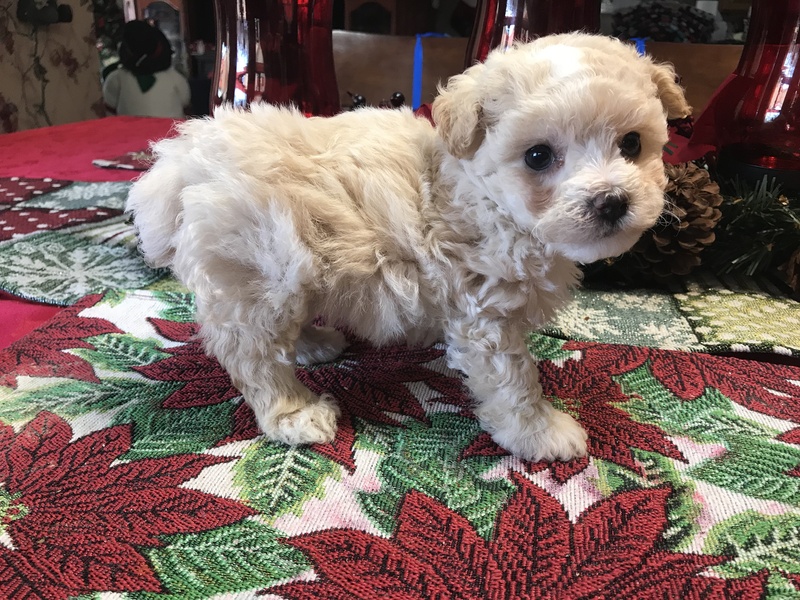 Boo Boo Cutest Cream Apricot Curly Male CKC Maltipoo With So Much Love To Share! Meet this handsome baby boy, Yogi He is a true prince charming. He is just as handsome and lovable as they come. He is always up for anything. He will be the first to run in the yard for a good game of catch or to lie on the couch for a good nap. He is just an all-around great pup! Don’t let this all around star pass you by. He will be sure to make that perfect, playful, loving addition that you and your family have been searching for. My new name is Ollie and my new home is Jacksonville, FL. What a cutie Boo Boo is. He has been prayed over for finding his forever home . Boo Boo is one of two males in this small litter of two. He is a absolutely gorgeous just look at his gorgeous cream color and such a curly hair cutie pie.. He also has the cutest docked tail. Being 75% poodle to make him highly intelligent! His mom is Maltipoo and this is her first litter and dad is Poodle so he should be really smart. How can you say no to this face?